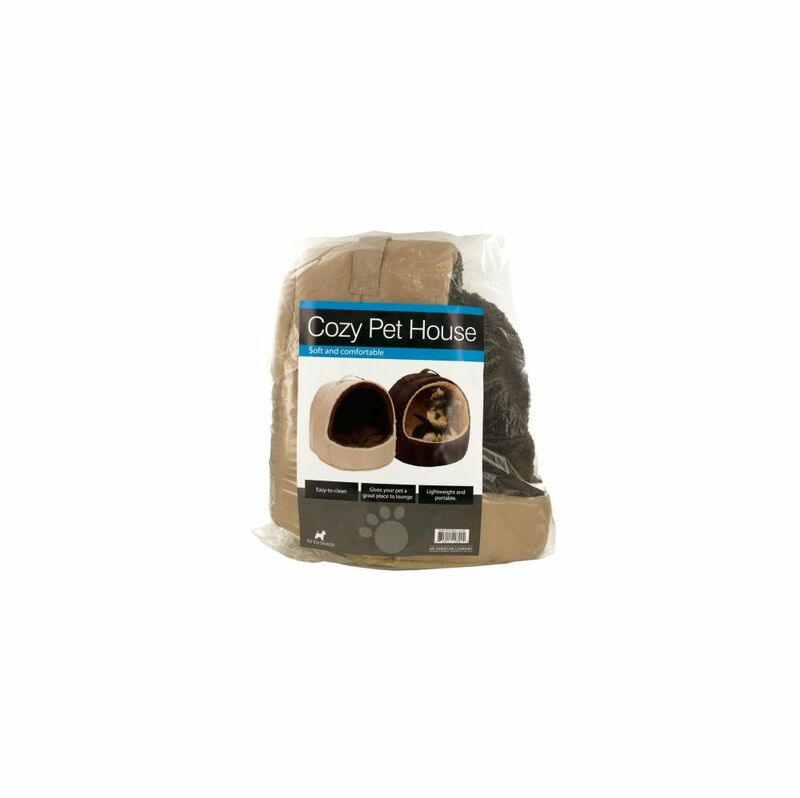 Give your pet a great place to lounge with this Cozy Portable Pet House featuring a lightweight, easy to clean house with a durable nylon exterior, soft plush interior, textured anti-slip bottom and carry handle at the top. Plush cushion inside is removable. Great for toy breeds. Measures approximately 14 tall x 12 wide x 11 deep. Comes packaged in a poly bag.